There has been some promo art released along with the trailer and Super Bowl spot for Avengers: Endgame. There’s a glimpse in the trailer of Thanos putting away his armor and calling it a day. However, we know that the Avengers aren’t going to give up, and that means Thanos will have to get back into action. 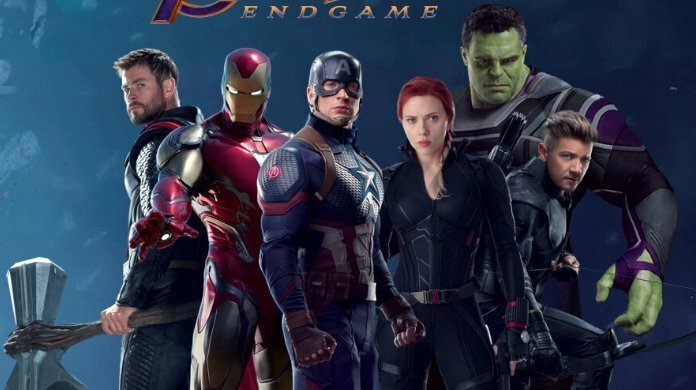 The official synopsis for Avengers: Endgame has been revealed, thanks to Disney’s Australian site, and it’s looking like Thanos’ plan wasn’t as successful as he thought. The synopsis doesn’t really reveal anything new, but it’s interesting to see the part about “consequences,” which can lead to people speculating that we might see the end of heroes like Captain America and Iron Man. The synopsis says that the universe is in ruins, which is the opposite of a thriving universe that Thanos had in mind. Synopsis: After the devastating events of Avengers: Infinity War (2018), the universe is in ruins due to the efforts of the Mad Titan, Thanos. With the help of remaining allies, the Avengers must assemble once more in order to undo Thanos’ actions and restore order to the universe once and for all, no matter what consequences may be in store. Orville Redenbacher has partnered with Marvel and Disney for its Avengers: Endgame promotion, and with it, we get a photo of the surviving Avengers with their new suits. We see Thor with Stormbringer, Iron Man, Captain America, Black Widow, Hulk and Hawkeye’s Ronin. Other surviving members who aren’t shown are War Machine, Ant-Man, Nebula and Rocket Raccoon. There’s also no signs of Captain Marvel, but we know she’ll be making an appearance thanks to the Avengers: Infinity War end credits scene and a promo art of her appearing alongside the others. The film is directed by the Russo brothers from a script by Christopher Marcus and Stephen McFreely. The post Avengers: Endgame official synopsis reveals Thanos’ plan was unsuccessful appeared first on Nerd Reactor.